Following on from our work in Project SMILEGOV, the Smart Island Initiative brought together the aspirations of EU islands, small and large to decarbonise their economies and lead in the field of renewable technologies as well as sustainable economic development. On 28 March 2017, The “Smart Islands Event: Creating New Pathways for EU islands” gathered in Brussels over 100 European island representatives, stakeholders and policy-makers to officially present Smart Islands Initiative, one that sheds light on the potential of islands to emerge as ideal territories for the deployment of innovative technologies in the fields of energy, transport & mobility, water & waste management and ICT. 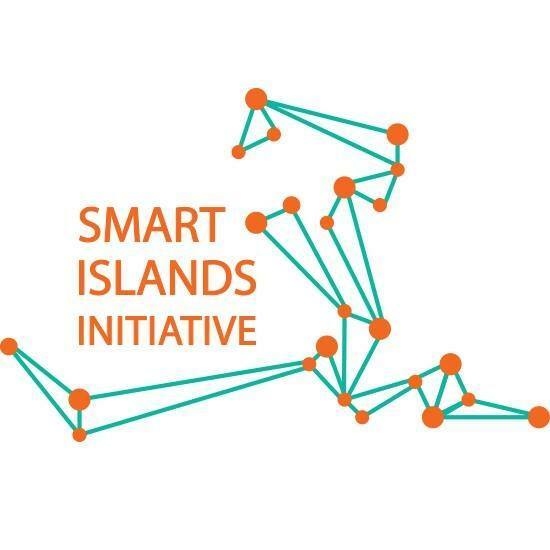 The Smart Islands Initiative is supported in Scotland by the Scottish Islands Federation, Shetland Islands Council, Highland Council Argyll and Bute Council and North Ayrshire Council. 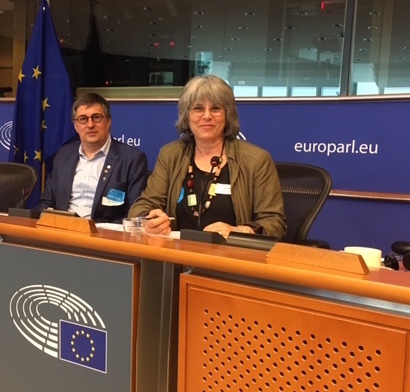 During the event 36 island representatives from Croatia, Cyprus, Denmark, Estonia, France, Germany, Greece, Italy, Ireland, Malta, Portugal, Spain, Sweden, the Netherlands and the UK ( Scotland as well as the Scilly isles) signed the Smart Islands Declaration, cornerstone document of the Smart Islands Initiative at the EU parliament on 28 March 2017. Two round-tables discussions, composed of experts from the European Commission, The European Investment Bank, EESC – European Economic and Social Committee, European Committee of the Regions, CPMR – Conference of peripheral maritime regions, Fedarene, Tipperary Energy Agency, Eurelectric, @HEDNO – Hellenic Electricity Distribution Network Operator, Instituto Tecnológico de Canarias, S.A., Samsø Energiakademi, Lloyd’s Register, and 2017 Maltese Presidency of the Council of the EU provided useful insights on islands’ intrinsic characteristics, as much as on the smart technologies, financing instruments and policies available which, if properly combined, can boost local sustainable development on islands. In the first round-table, distinguished speakers shared their thoughts and experiences regarding the different smart technologies that are available and the processes that need to be in place to help lands transition in a sustainable and innovative era! The second round table discussed the necessary interventions at regulatory level but also the governance schemes and financial tools that need to be activated helping islands unleash their potential to develop in a sustainable and inclusive way. Revealing of the on-going work to bring islands on top of the EU policy agenda was the reference by Clive Gerada, Chair of the Energy Working Party of the 2017 Maltese Presidency of the Council of the EU, on the Political Declaration on Islands to be signed during the Informal Meeting of Energy Ministers on 18 May in Valetta. The concluding remarks before the signing ceremony were made by European Commission Director-General for Energy Dominique Ristori who praised the Smart Islands Initiative as a truly meaningful vehicle helping islands become pioneers of the clean energy transition! Mr Ristori pointed to the immense potential of islands to host innovative projects that can have a positive impact on local economies, all while helping Europe meet the goals it has set in a number of key policy areas, including climate, energy, transport and mobility both at home and globally COP21.